Madagascar is one of the poorest countries in the world with over 60% of children under the age of 5 suffering from malnutrition. In 2017 The Madagascar BioDiversity Center along with Entomo Farms formed Valala Cricket Farms in Madagascar aimed at teaching local villagers how to raise crickets for human consumption and reduce the devastating effects of bushmeat hunting (mainly Lemurs) in the limited remaining forests. After much research, we have found a local species of cricket that we are now successfully rearing in captivity. Valala Cricket Farms has established the breeding stock after spending endless hours 'hunting' for individual crickets in the wild. Our next goal was to set up an approved 'processing facility' that will follow all food safety protocol so that we can ensure our whole roasted crickets and cricket powder are safe for human consumption. 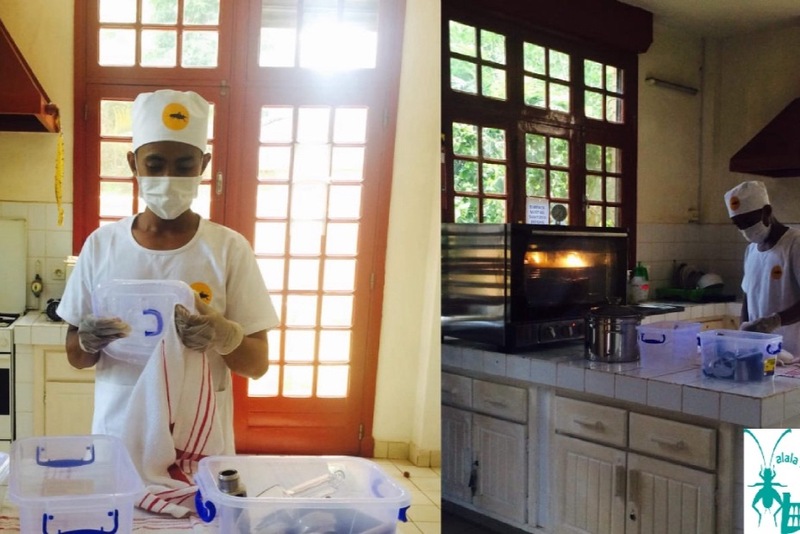 We have all protocols in place and are following HACCP principles, however, we now feel (with a contract from Catholic Relief Service) that Irena (our facility manager) needs formal training and certification, something not readily available in Madagascar. Hence our desire to bring her to Canada to not only take the appropriate courses but to also spend a week in the Entomo Farms Processing Facility, shadowing and training here as well. Your generous support is the next step in making Irina's dream of furthering her education in food safety and working toward food security in the magnificent country of Madagascar come true. When you support this effort, you will save countless lives from starvation and hunger. After Iriana has completed her training in Canada she will return home to Madagascar and share her knowledge with many villages. Madagascar Feeding the Hungry's main goal is to break the cycle of poverty by providing resources, training and assistance to ensure the people of Madagascar become self sustainable permanently. Iriana's villagers and the Malagasy from neighbouring villages are eager to learn and accept the help with the understanding and realization of how important and valuable a gift they have been offered. Ancient Chinese philosopher Lao Tzu, founder of Taoism originally brought the idea forward in his well known and respected proverb: “Give a man a fish and you feed him for a day. Teach him how to fish and you feed him for a lifetime”. One can argue that the same point can be made with teaching Malagasies how to safely and healthily process and utilize crickets for high protein nourishment.